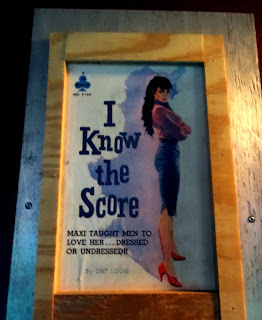 This is one of my favorite Vegas bars. 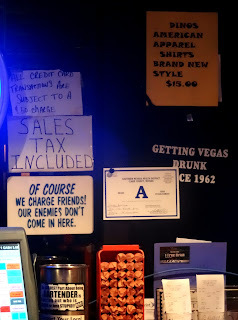 It's lively, it's divey, it's old, and it has a classic Vegas pedigree. 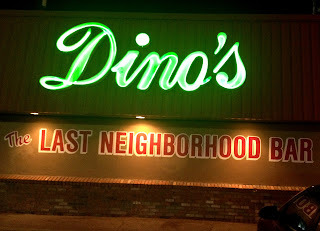 It has been Dino's since 1962, when Rinaldo Dean ("Dino") Bartolomucci bought the place, then named Ringside Liquors. 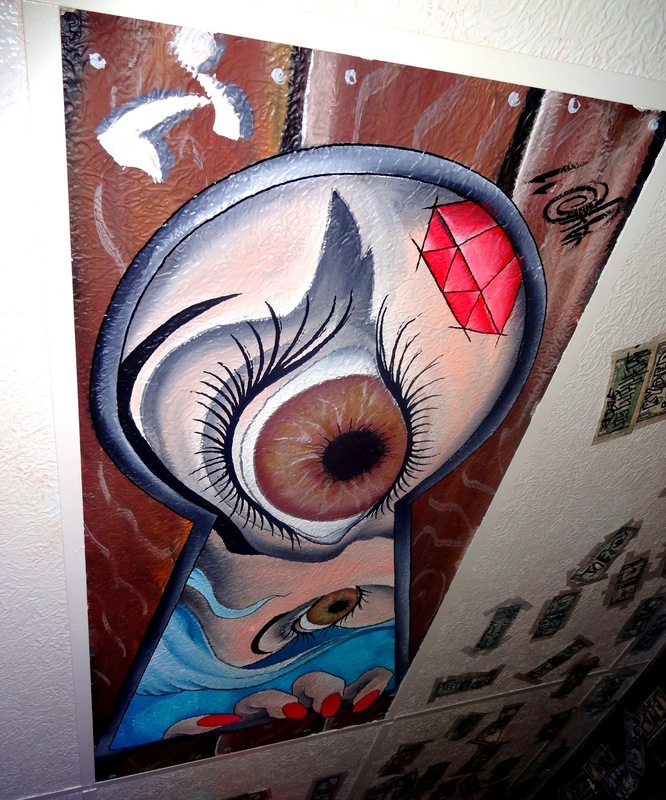 The owner of Ringside was mobster Eddie Trascher, "who used the back room for big-money pool hustling, kept the beer refrigerator stocked with stolen jewels and furs, and once pistol-whipped a patron so viciously that he incurred the wrath of the entire plumber’s union." 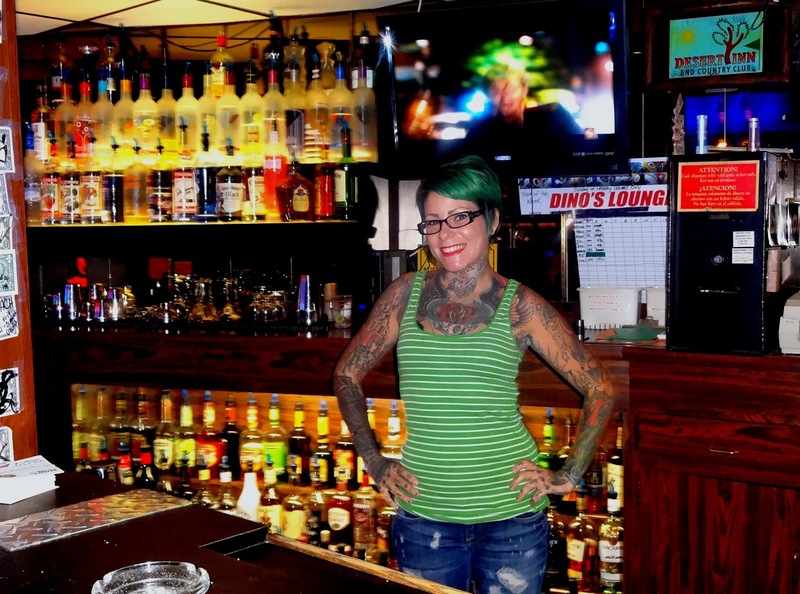 (lasvegascitylife) It has been run by Dino's family ever since, continuing with his two sons and now run by his granddaughter. Dino's bartender Josette, "like in Dark Shadows"
Dino's today has the "Last neighborhood bar in Las Vegas" painted across the side of the building, and in neon over the door, just to make sure you get the message. It gets a nice cross-section of patrons, several of whom compete for Dino's "Drunk of the Month" title (the winner gets their picture on the wall and use of a special parking space). 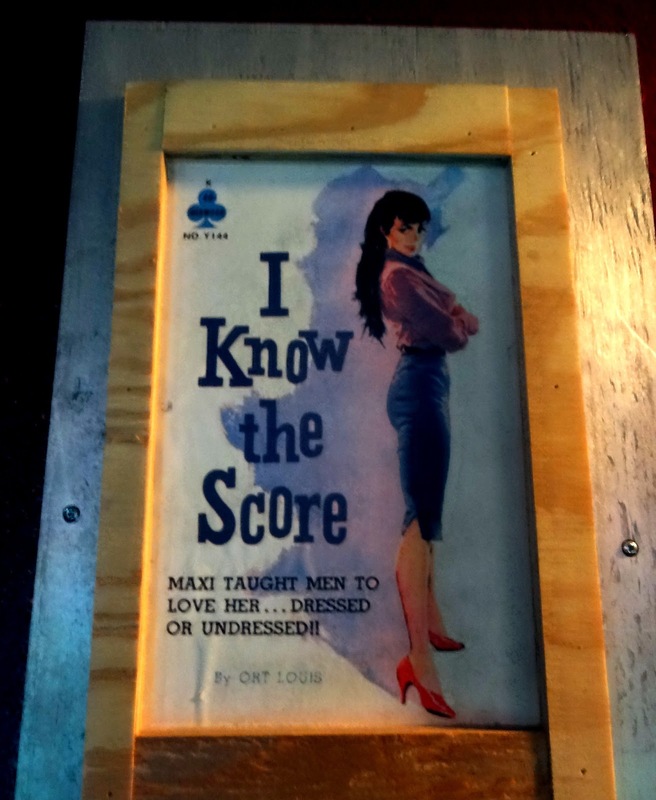 If a patron impresses the management enough, they get an invitation to play in the weekly card game of 99, which has been going for 50 years by invitation only (now hosted by current owner Kristin). 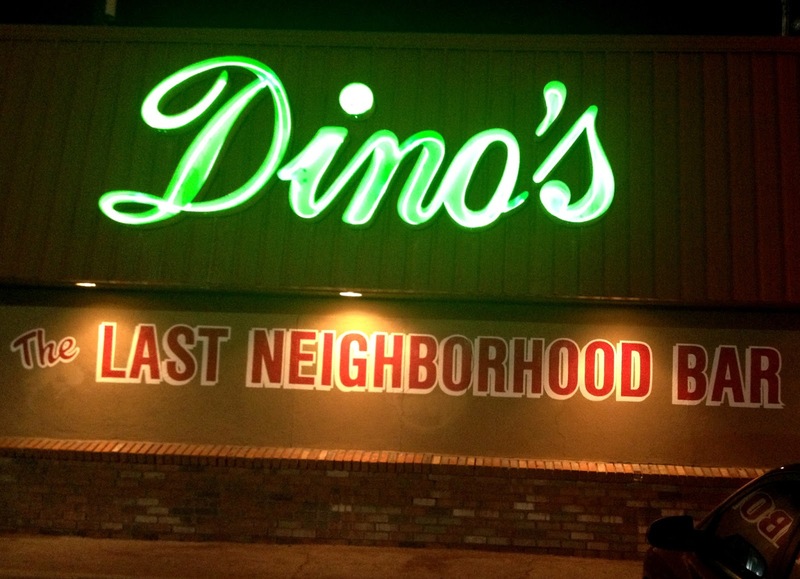 Dino's is a great, gritty alternative to the bars on the strip.